Low efficiency of conventional aeration techniques and the excessive production and disposal of sludge are great concerns in biological wastewater treatment systems. The present study aimed to evaluate the active sludge method using batch reactors under continuous operation to determine the efficiency of aeration and sludge production through microbubble and nanobubble aeration. The results indicated that compared to microbubble aeration, nanobubble aeration increased the concentration of dissolved oxygen in the mixed liqueur of the reactor (from 2 to 4.5 mg/l), while reducing the production of excess sludge from 100 to 40 ml/g (SRT: 15-40 d). With the same SRT duration, these values were within the range of 160-70 ml/g using fine-bubble aeration. According to the results, nanobubble aeration could increase the efficiency of aeration, thereby increasing the capacity of the treatment plant and reducing the costs of biological wastewater treatment. Fernandes H, Jungles MK, Hoffmann H, Antonio RV, Costa RHR. Full-scale sequencing batch reactor (SBR) for domestic wastewater: performance and diversity of microbial communities. Bioresour Technol 2013; 132: 262-268. Au MT, Pasupuleti J, Chua KH. Strategies to improve energy efficiency in sewage treatment plants. IOP Conf Ser: Earth Environ Sci 2013; 16012033. Guerrini A, Romano G, Indipendenza A. Energy efficiency drivers in wastewater treatment plants: a double bootstrap DEA analysis. Sustainability 2017; 9: 1126. Gandiglio M, Lanzini A, Soto A, Leone P, Santarelli M. Enhancing the energy efficiency of wastewater treatment plants through co-digestion and fuel cell systems. Front Environ Sci 2017; 5(70). Rajasulochana P, Preethy V. Comparison on efficiency of various techniques in treatment of waste and sewage water- A comprehensive review. Resour Efficient Technol 2016; 2(4): 175-184. 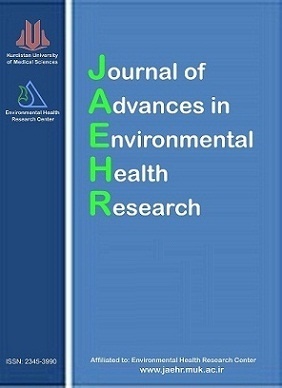 Hayet C, Saida BA, Youssef T, Hédi S. Study of biodegradability for municipal and industrial Tunisian wastewater by respirometric technique and batch reactor test. Sustain Environ Res 2015; 26(2): 55-62. Wei Y, Houten RTV, Borger AR, Eikelboom DH, Fan Y. Minimization of excess sludge production for biological wastewater treatment. Water Res 2003; 37(18): 4453-4467. Hamawand I, Ghadouani A, Bundschuh J, Hamawand S, Al Juboori RA, Chakrabarty S, et al. A critical review on processes and energy profile of the Australian meat processing industry. Energies 2017; 10(5): 731. Arcivala SJ. Wastewater treatment for pollution control. Third ed, McGraw-Hill Inc. 2003. Benefield LD, Randall CW. Biological process design for wastewater treatment. Englewood Cliffs, NJ: Prentice- Hall, 1980. Velho VF, Daudt GC, Martins CL, Belli Filho P, Costa RHR. Reduction of excess sludge production in an activated sludge system based on lysis-cryptic growth, uncoupling metabolism and folic acid addition. Brazil J Chem Eng 2015; 33(1): 47 – 57. Irvine RL, Busch AW. Sequence batch reactors and overview. J WPCF. 1979; 51(2): 235 – 243. Stams A, Elferink S. Understanding and advancing wastewater treatment. Curr Opin Biotech 1997; 8(3): 328-334. Michelin S, Guérin E, Lauga E. Collective dissolution of microbubbles. Phys Rev Fluids 2018; 3(4): 43601. Semblante GU, Phan HV, Hai FI, Xu ZQ, Price WE, Nqhiem LD. The role of microbial diversity and composition in minimizing sludge production in the oxic-settling-anoxic process. Sci Total Environ 2017; 607-608: 558-567. Li B, Bishop PL. Micro-profiles of activated sludge floc determined using microelectrodes. Water Res 2004; 38(5): 1248-1258. Abbasi B, Dullstein S, Rabiger N. Minimization of excess sludge production by increase of oxygen concentration in activated flocs: experimental and theoretical approach. Water Res 2000; 34: 139-146. Patsios SI, Karabelas AJ. An investigation of the long-term ﬁltration performance of a membrane bioreactor (MBR): The role of speciﬁc organic fractions. J Membr Sci 2011; 372: 102-115. APHA. Standard methods for the examination of water and waste water, 21st ed. American Public Health Association, Washington, DC., 2005. Huang JYC, Cheng MD, Mueller JT. Oxygen uptake rates for determining microbial activity and application. Water Res 1985; 19(3): 373-381. Pavselj N, Avatar N, Kocijan J, Ros M, Subelj M, Music G, et al. Experimental design of all optimal please duration control strategy used in batch biological wastewater treatment. ISA Trans 2001; 40: 41-56. Yoo H, Ahn KH, Lee HJ, Lee KH, Kwak YJ, Song KG. Nitrogen removal from synthetic wastewater by simultaneous nitrification and denitrification (SND) via nitrite in an intermittently aerated reactor. Water Res 1999; 33(1): 145-154. Garcia-Ochoa F, Gomez E. Bioreactor scale-up and oxygen transfer rate in microbial processes: an overview. Biotech Adv 2009; 27: 153-176. Ebina K, Shi K, Hirao M, Hashimoto J, Kawato Y, Kaneshiro S, et al. Oxygen and air nanobubble water solution promote the growth of plants, fishes, and mice. PLoS ONE 2013; 8(6): e65339. Muhammadi, Shabina, Afzal M, Hameed S. Bacterial polyhydroxyalkanoates-eco-friendly next generation plastic: Production, biocompatibility, biodegradation, physical properties and applications. Green Chem Lett Rev 2015; 8(3-4), 56-77. Weber SD, Ludwig W, Schleifer KH, Fried J. Microbial composition and structure of aerobic granular sewage biofilms. Appl Environ Microbiol 2007; 73(19): 6233-6240. Hiraishi A, Kitamura H. Distribution and phototrophic purple nonsulfur bacteria in activated sludge systems and other aquatic environments. Bull Japan Soc Sci Fish 1984; 50(11): 1929-1937. Schmit CG, Jahan K, Schmit KH, Debik E, Pattarkine V. Activated sludge and other aerobic suspended culture processes. Water Environ Res 2010; 88(10): 1073-1123. Wei C. Nutrient removal and fouling reduction in electrokinetic membrane bioreactor at various temperatures. PhD Thesis. Department of Civil Engineering, University of Manitoba, Winnipeg, Canada. 2016.